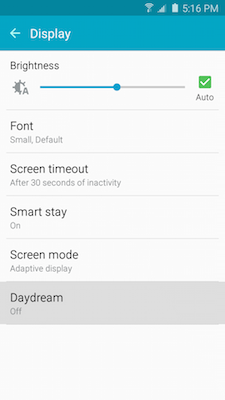 Galaxy S5 Neo: How do I use the Daydream feature on my Samsung Galaxy S5 Neo? 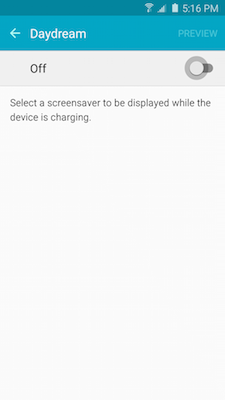 Daydream feature is an interactive screensaver mode that can activate automatically when your device is docked or charging. 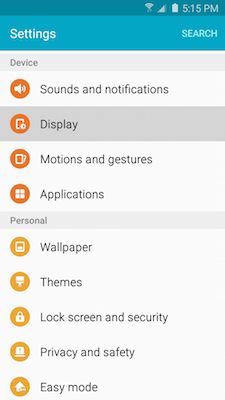 The feature keeps your screen on and displays information. Daydream lets your device receive real-time information. Note: Additional applications can be added to Daydream via Google Play Store. From the Home screen, touch Apps > Play Store , and search for Daydream. 6. 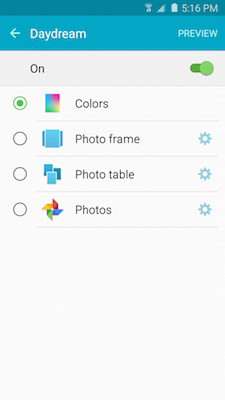 Select Colors, Google Photos, Photo Frame, or Photo Table. Touch to configure the selected item. 7. Touch Preview for a preview of your selection.